Have you ever tried to tell the difference between a Belgian Malinois and a German Shepherd? To the untrained eye they look very similar. 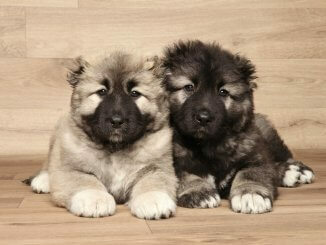 Both of these dogs are purebred, acknowledged by the American Kennel Club and are almost identical in size and weight. So how do they stack up and what are the differences between these breeds? 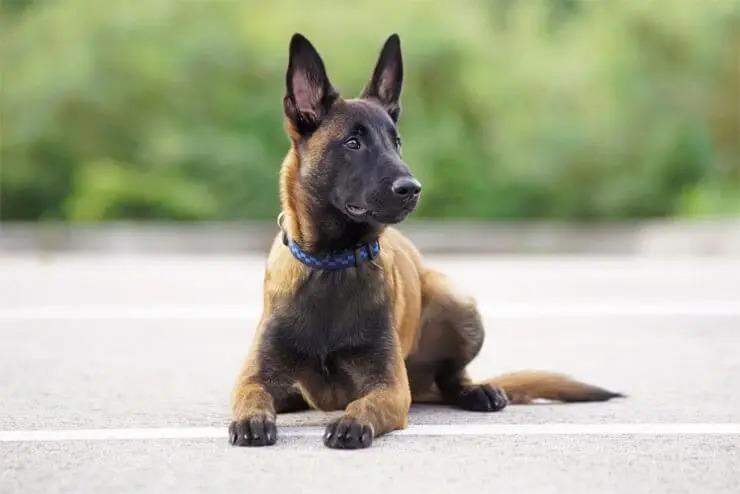 In this article we discuss how the Belgian Malinois compares to the German Shepherd; including the key differences in their temperament which is a result of their linage and initial purpose. Understanding this will help you better understand which dog breed is more suitable for you. Almost identical in size with them both standing between 22 and 26 inches tall. Both dogs were initially bred to herd so have a very similar temperament. 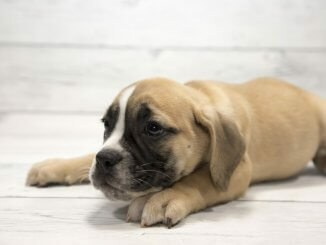 Both breeds are prone to skin issues and eye issues (such as cataracts and retinal atrophy). They are both loyal and will become possessive of their owners. It normally results in them being aloof with strangers. Both breeds are brave and once attached will protect their families at any cost. As large intelligent dogs, they both respond well to positive reinforcement and dominance theory should be avoided. German Shepherds have a medium length coat whereas the Belgian Malinois has a shorter thicker coat. The Belgian Malinois is generally considered to have a higher prey drive. Whilst both breeds can suffer from elbow and hip dysplasia, German Shepherds are notorious sufferers. German Shepherds are less aggressive and are slightly slower. The Malinois is generally considered to be a more independent dog as German Shepherds can suffer from separation anxiety once they have formed a bond with their keepers. The Belgian Malinois has a reputation of being slightly easier to train. Being the slightly heavier breed, German Shepherds will require more feed. The Belgian Malinois was initially bred to be used as a livestock herder. Because of this they have huge levels of energy. They are very intelligent dogs who can be trained for pretty much any task or role (within reason). Malis need to be exercised for at least 90 minutes a day. Also this needs to be split between 3 to 4 different sessions. Ideally you would opt for either 3 x 30 minute sessions or 4 20/25 minute sessions. In terms of what to do during these sessions you can walk, play, run, and hike; the list is endless. Because of their high levels of energy they are best suited to a family/individual that leads an active, outdoor lifestyle. You need to remember that purchasing this breed is a big commitment. They are a large dog who are very intelligent and require a lot of exercise and mental stimulation. Without this they can become destructive. At first glance you could be forgiven for confusing a Belgian Malinois with a German Shepherd. The Belgian Malinois is a large sized dog which is covered in coarse fur. Once fully grown you can expect males to reach up to 26 inches tall and weigh up to 80 pounds. Whereas females will be a touch smaller, at up to 24 inches and 60 pounds. Just like the German Shepherd they have a double coat. This double coat helps keep them warm as they spend the majority of their time outside, herding. The top coat is hard, almost bristle like, whereas the undercoat (shield) is thick and dense. Belgian Malinois constantly shed small amounts of their coat throughout the year, with two annual heavy “blowouts”. If you want a house that shows no signs of dog hairs, the Belgian Malinois is not for you. If we look at official breed standards, their coat color is a rich fawn to mahogany, with the ends of each hair having a black tip. Their stomach and underside are typically lighter in color with the occasional white spot or patch. Stood next to a German Shepherd you will notice the Malinois’ fur will be shorter and their ears will be slightly longer and pointier. In terms of temperament the biggest thing you should expect from a true Belgian Malinois is their working character; remember they were initially bred as livestock herders and became famous amongst both sheep and cattle farmers for their unrelenting work. You can expect an even keeled temperament that is neither aggressive nor shy. It is a confident breed and whilst occasionally aloof with new faces, is more than loving with their keepers. Belgian Malinois are known for being very possessive of both their owners and their property; whilst this doesn’t normally cause behavioral issues, if pushed they can become aggressive. Because of their unrelenting work and high levels of intelligence, they are a versatile dog. In fact they are now becoming popular within both the police and military and even private security. They are smart dogs that want to please and can be taught to master just about any command or drill. You should expect to pay between $800-$1200 for a purebred Belgian Malinois. Of course dogs without paperwork and rescues will be significantly cheaper. Also, trained Malinois will be significantly more expensive and generally start at upwards of $5000. A healthy Malinois that is well cared for, and not overworked, should live to between 14-16 years. The German Shepherd is the second most popular dog breed in the US and it’s hardly surprising. They are a large, strong, confident and brave dog; truly one of the best all-purpose workers you could hope for. GSDs were originally bred to herd sheep in Germany. They were refined over 35 years by Captain Max von Stephanitz until he was satisfied with the breed. Its key attribute is character. They can be a loving family member and at the same time unfaltering guardians. They are very intelligent and have lots of energy. When compared to the German Shepherd, they need even more exercise; around 2 hours per day. This should be split into several sessions. You can expect German Shepherds to live between 7-10 years; this is one of the major differences between them and the Malinois. They can live between 14-16 years so if you’re looking for a longer companionship, there is a clear winner. When looking at the Malinois and German Shepherd you could be forgiven for confusing them as the same breed. The German Shepherd is classified as a large dog. A fully grown male will stand between 24 and 26 inches tall, with a female standing between 22 and 24 inches. In terms of weight you should expect a female to weigh between 50 to 70lbs and a male between 60 to 90lbs. Just like the Malinois, the German Shepherd also has a double coat, however they have a slightly longer coat, with the Malinois being shorter and coarser. Your German Shepherd will shed lightly throughout the year and then heavily twice; so in terms of grooming you should expect a similar amount will be required for both dogs. Whilst there are no officially recognized colors for the color of their coat, you should expect a black top with blonde and light sides and underbelly. The one key defining trait of any German Shepherd is its character and temperament. They are without question the best in class, all-round worker; incredibly adaptable and can master any role or task required of them. Because of this they have a long and successful history both within the military and the police. Wealthy individuals are also turning to German Shepherds as private security and guard personnel. In terms of individual traits it possesses, it is confident, brave and intelligent. Just like Belgian Malinois they are possessive and will defend anything or anyone which they deem they ‘own’. This behavior can make them appear unreceptive or even aggressive towards strangers. Because of this you need to heavily socialize them from a young age. Like any other large powerful dog you should not use dominance based training techniques. You should use positive reinforcement instead as they will respond better to this. Generally large dogs will resist against dominance based training because it uses coercive techniques to modify behavior which creates stress. Also just like the Malinois, it’s a big commitment. They are large dogs who are intelligent and can become destructive when not properly cared for and exercised. German Shepherds require an owner who has lots of time to commit to their training and daily exercise needs. Pedigree German Shepherds should cost between $500-$1500 depending on the breeder and lineage. If you’re looking to adopt an older German Shepherd it will cost around $50-150 in donation fees. A healthy, well looked after German Shepherd will live between 7 to 10 years. An over worked Shepherd could live less than 7 years. The Belgian Malinois and German Shepherd are nearly identical in size with them both standing between 22 and 26 inches tall. In terms of weight the German Shepherd is slightly heavier (50-90lbs) than the Malinois (40-80lbs). Both the German Shepherd and Belgian Malinois have a fantastic temperament. They are both confident, loyal and predictable dogs. Both breeds can be trained to an incredibly high standard which has resulted in them both being used as policy/military dogs. 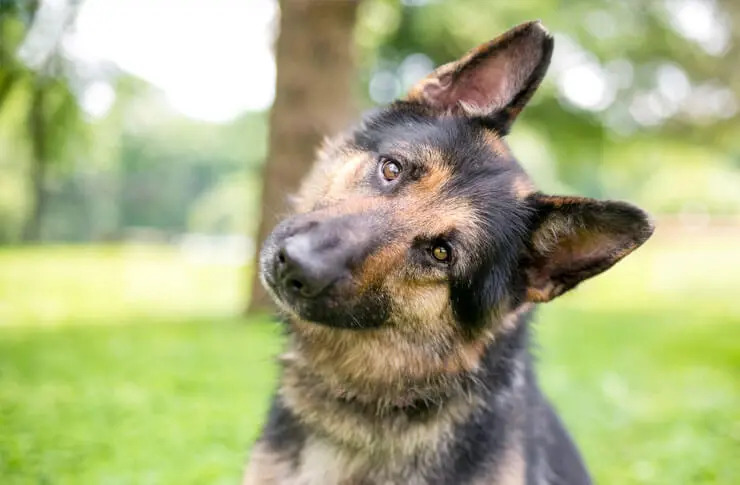 After reading our complete guide you will now know the key differences between the German Shepherd and the Belgian Malinois. Both of these breeds were initially bred as herding dogs and because of this they are both intelligent with high levels of energy. The German Shepherd has the slight edge in terms of trainability, but they would both make loving family pets. 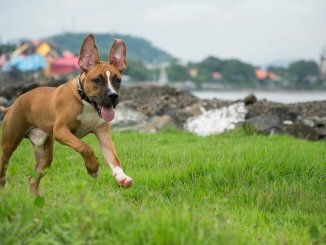 What both breeds need is a responsible owner who has lots of time to commit to these breeds. They both need a high amount of daily exercise and mental stimulation otherwise they can become destructive. Russian Bear Dog: Is This Gentle Giant Right For You?